1.When you go out for a tour, put on these shoes and you will feel comfortable and free.Your feet are unrestrained.You can run freely and enjoy a pleasant journey. 2.Breathable mesh upper,user friendly design,even if you wear it for a full day of work or exercise, you will not feel your feet airtight,because it is so comfortable and breathable. 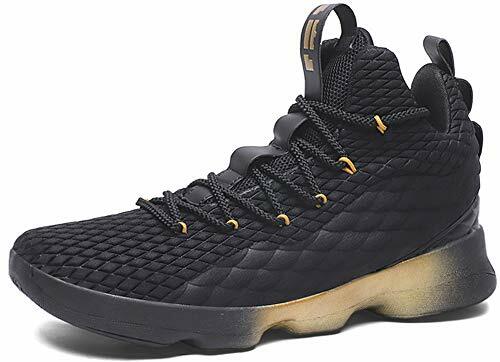 3.When you wear these shoes on the court,you will definitely be the focus of the audience,because these shoes are so attractive,exudes charming charm. 4.After you have finished eating,wearing these shoes and walking with your lover or family, you will not feel tired no matter how long the distance.Please enjoy the good times. 5.The non-slip rubber outsole is used for the soles, which is wear-resistant and durable.Even the wet and rainy days can guarantee the safety.You can enjoy your weekend life by wearing these shoes. SIZE ATTENTION:Please choose size based on Length and Shape of your foot.Please refer to the SIZE CHART in Product Desprition.The size in Inch means the length of your foot to fit the shoe.The tag size of these shoes are Men's And Women's. DESIGN:2018 brand new design,powerful cushioning,high elastic heel support,slip wear,comfortable and breathable,so you fully release yourself in the movement,more confident. SOLE:Comfortable and wear-resistant soles,suitable height,wear-resistance,shock-absorbing,power-assisted walking,comfortable and light,even if you wear it all day,you will not feel tired. FEATURE OF PRODUCT:Breathable / durable / lightweight / soft / deodorant.After you walk through the day's work with these shoes, you can keep the shoes dry and comfortable. This is a great feeling. SUITABLE PLACE:This shoe is suitable for all kinds of sports, running/playing/fitness/tourism/walking, etc.The lightweight shoes and breathable material keep you dry and comfortable after exercise. If you have any questions about this product by JiYe, contact us by completing and submitting the form below. If you are looking for a specif part number, please include it with your message.